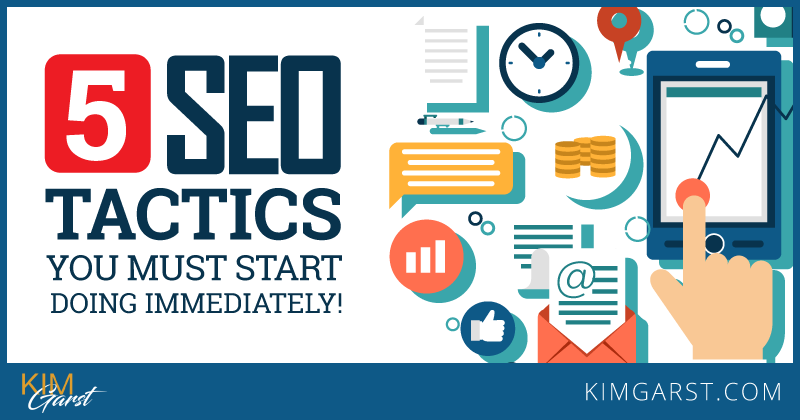 5 SEO Tactics You Must Start Doing IMMEDIATELY! H1: Each page should have one (and only one) H1 tag. It will usually be the title of your page or post, and is important both for rankings and for user experience. It used to be that you could write short (<400 word) content, target it towards a certain keyword, and get it ranking in the search engines. Google is now showing a clear preference for longer, more ‘meaty’ content that does a thorough job of covering a topic. According to recent research by Searchmetrics, the average word count of the highest-ranking pages is 1,285. If you want your content to rank in the search engines, make sure it does a great job of covering the topic at hand. You don’t need to get hung up on achieving a precise word count, but you do need to make sure you’re sufficiently digging into the topic and offering unique insights. Searchmetrics found that ‘proof terms’ and ‘relevant terms’ have become increasingly important for achieving high rankings. These are words that will be naturally included if you’re doing a great job of covering a topic. For instance, if you’re writing about web design, you’ll naturally include words like internet, website and design. Again, if you’re focused on providing a great user experience and covering your topic in detail, you’ll naturally include these types of words in your content. If you need a bit of extra help to make sure you’re including lots of related words and terms, I recommend using a keyword tool like Ubersuggest. You’ve probably heard about Google’s recent move towards making mobile-friendliness a ranking factor. This was referred to by some as ‘Mobilegeddon’. To put it simply, since April, sites that aren’t mobile-friendly will have a very, very difficult ranking in mobile search! Not sure if your site is mobile-friendly? Use Google’s Mobile-Friendly Test. If it turns out your site isn’t optimized for mobile devices, consider switching to a responsive website design. If you have a WordPress site, you can even use a free plugin like Jetpack to instantly convert your theme to a responsive design! We have known for a long time that making pages easy to use is great for improving user experience. However, in recent years, we’re also finding that elements like buttons, menus and lists (both bullets and numbered) can have a significant impact on rankings. In fact, Searchmetrics even found a correlation between the number of bullets in a list and higher rankings; so, when in doubt, add more items to your lists! Structure your content so it’s scannable and as easy to ready as possible. Keep in mind that many of your visitors will be visiting your site on their mobile device while ‘on the go’; so using images, links, buttons and lists will make your content so much easier for them to access! I hope this post has taken a bit of the mystery out of optimizing your site for the search engines. Above all else, focus on writing in-depth content that does a great job of covering your topic, and structure your content in a way that makes sense to your readers. These are the keys to getting your content ranking highly in the search engines! What do you think? Are you going to be implementing the 5 SEO ‘tactics’ above? Ok Kim, you convinced me! Time to finally get my site mobile friendly. I will check out this jet pack plugin later today. Thx! I did it! I got the jetpack plug-in and turned on the mobile section. It was that simple! I can’t believe how easy that was. I tried it from my iphone and it looks great! Thanks Kim! liked your article I am currently trying to do a word press blog page as an exercise for real estate blogs ,thats all i do anyway is work on real estate.One day i’ll get a life lol. To ALL eyes that see read and hear this. I Love the content Kim gives, it has been so very helpful in everything we’ve been doing with our blog site. In the music industry where it seems to get more “Controversial” on a daily basis, her content and advice is so valuable. Thanks a Kim a Platinum 🙂 (that’s a million in music terms). Kim, thanks for this SEO insights, SEO has been something I have just plain put off for my Social Media agency business. This is a great article. But what if the article is not completely original? 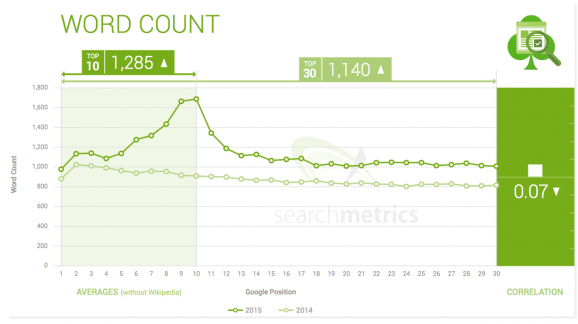 Am I still able to be indexed by Google and have a very good ranking? will be checjing out the Jet plugin today! Thank Kim I will be checking out the Jet today! Very good information on SEO, and going to make sure that all my posts are Google Friendly. I have learned about the ” Proof Terms” and how making sure that the content is longer and other words beside the keyword is used in the body of the context. Thanks, Kim – Any special tweaks you would recommend when using the Yoast SEO plugin for WordPress? The great thing about Yoast is that it tells you exactly what you need to do in order to get better SEO rankings. Just made sure as many dots as possible are green as opposed to orange and red and you should be all set! Great info as always! Thanks Kim! Just what I need; I’m scheduled to teach a content-writing course next month, and the SEO section needed some filling out (and backing up)! I love to write list posts and I noticed they bring more results in terms of what readers like and share, also more comments. Thanks for these great tips, Kim! I have always added important forms of content as you mentioned links, images, videos and list articles all make up great experience for search bots and users too. Using relevant keywords can make our site rank for other lon tail keywords and not make our site keyword stuffed in front of bots. Thanks for these tips KIm. Thank you. There are actionable tips we can make for improvement and that is always a plus! Great advice as always Kim. Proper SEO can give you fairly quick up front traffic as well as long term organic traffic for months and years to come. Thanks for the great tips, Kim. I have also seen lists performing well. For a local business, it is also important to set yourself up in Google My Business, be consistent with contact information, and include references to local content. Great information Kim. I just wanted to give an FYI that the link for the Ubersuggest tool should point to http://ubersuggest.org/. I think you have a typo the link in your post. Look what Val Rocha just posted..Marble Countertops – 3 simple questions you should ask yourself before buying them. Thanks for this reminder about 1000+ words in content. Before it looked like at least 400 words are enough. Now we understand that our blog posts should be longer. I agree with all these tactics. I would add one of the best tactics which is URL structure. Search engine highlight url strucutre while you search any thing so i think you should use keyword in your url. URL strucutre is also one the most important SEO activity of on page which you should not ignore. Kim, this a great list of top tactics. Thanks! The other one I would think to add would be to use your keywords in the alt tags of any images on your page. Great list, Kim, and so doable for everyone! I worked for a company for a while that had Big G as a client. I rated websites for relevance based upon a query. At that time, they were looking for articles that were written naturally and with ‘everyday expertise’. That means that an article about cancer from the standpoint of a cancer survivor is not given less weight than an article about cancer on WebMD. The focus was much less on keywords – and sites were penalized in SERPs for being a keyword match only with no actual relevance or helpful-ness to a query (for instance: the query is ‘cheese’ and an article talks about the moon being made of cheese – not helpful, keyword match only). Basically, the focus is to write well about a topic and make it helpful and useful for the user. Look what Becky just posted..I don’t want to recruit Associates – that’s bold! As far as mobile friendliness is concerned I think this is an important issue now. More and more people start to use mobile devices. So making your site mobile friendly is crucial. I do not know if you are right about the word count because I have not seen any such improvement in my posts even if they are large. Also, i think apart from all above pointers, backlinks are still valuable. Less number of backlinks and backlinks from low quality pages are not. A site should increase backlinks. Sometimes people forget the basics of SEO and it all starts with keyword research and on page optimisation and there’s nothing more anything than not having a mobile friendly website. Having to use my fingers to zoom in on a page has me leaving the page and a quick bounce rate for the website owner. Even I, from time to time forget the basics. So I have to refer back to posts like this. I really am interested in using the site you cited – ubersuggest, however, the link you posted is no good. Any other suggestions? Thanks Kim, for this posts. Since i have come across your blog, i have never regretted reading your valuable posts. I will apply this steps above to my website. Thanks again and God bless! Another great post with excellent, easy to read, actionable and above all useful,information. Great to see preaching what you practise, so many others give advice they don’t even follow! Thanks, Kim. We all should know and apply some of these advises. Interesting insight regarding text length. All the best and happy xmas! I am going to follow all these tips right now and will make necessary changes in my website accordingly. Great article!I think traffic is the most important thing in blogging and there are other ways to drive traffic, We shouldn’t ignore SEO but we also shouldn’t solely depend on it either. I am also agree with you but when possible “Your Post is Properly Optimized with the relevant and searchable keywords and proper use of long tail keywords in your post. And your important keywords should be available in your page labels and tags. Your post URL should be seo friendly, keyword rich url much better instead the normal url. Really nice post . Of course, these are fundamentals of SEO . No one can achieve SEO success without following above tactics . Another great read thanks to you! I am always amazed at how you are able to write and make your readers feel that they are just talking to a friend. Yes, it’s true that top ranking pages have 1000+ words. Most of the site I find in Google search results have around 800 words. It’s difficult to write lengthy content. But when a person is used to it, no one can stop his/her website from ranking high in search engines. Thanks for the great tips! It’s so important to remind people that SEO is more than just keywords. Really great article. you clearly justifies the importance of SEO for the online business. SEO is important for a website’s success. Thank you so much for sharing and keep it up..! Your article is very interesting to read. The tips you presented here are great tips in 2019. I love the idea of adding the point “Use lists and interactive elements to structure your content”. It will help me a lot. Wow…Simple but awesome tips . Thank you so very much! there are very useful and things I can implement immediately.